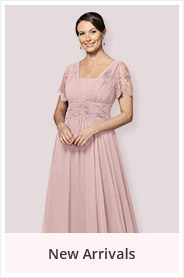 - Sweetheart dress features a keyhole at back. 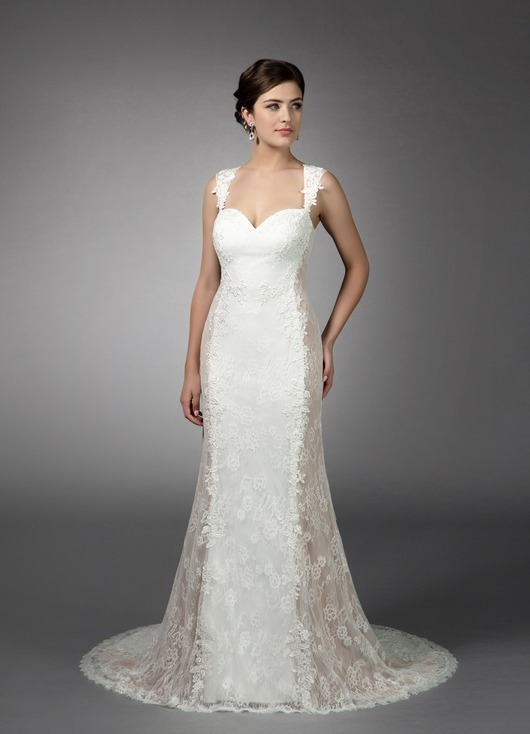 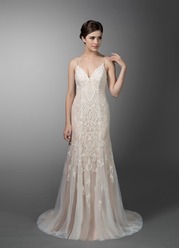 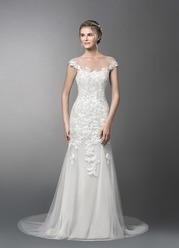 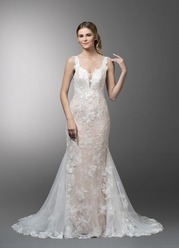 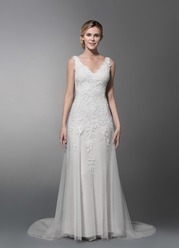 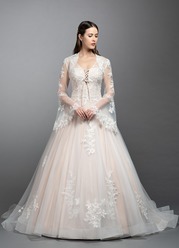 Daria is a lace and tulle sleek mermaid gown who’s style lines are  designed in an ultra slimming way. 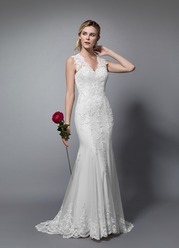 Hand pieced lace appliques blurs the join between the two tones of fabric again adding to this sultry and slimming design. 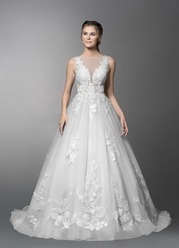 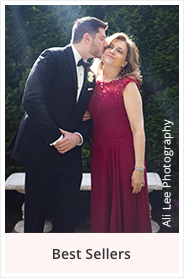 With her sweet heart neckline and heart shaped open back Daria is the very definition of love.